In the last few years, the need for competent and well qualified registered nurses has increased widely in the United States. According to a 2016 report conducted by CHWS at the University at Albany, the demand for registered nurses in the state of New York is expected to raise profoundly between the year 2015 to 2025. The study clearly suggests that the older population in NY is going to increase in coming years and this will create a huge demand for nursing professionals in the long-term care health facilities in NYC as well as other major cities in the state. Therefore, this is the apt time to jump into this profession and become an RN in New York. So, if you are you looking forward to brightening up your career in the field of nursing and want to join one of the top-rated nursing schools in New York, here is the complete detail that will make your way smooth to become an RN. The minimum age of an applicant should be 18 years. It is obligatory to complete the high school diploma. A valid address proof and photo identification need to be submitted. It is compulsory for every student to clear the drug test and criminal background check (CBC). The aspirant must be fluent in English. A candidate must submit all the essential documents as required by the respective institute, in which he/she is going to take admission. Some colleges may require you to clear TEAS (Test of Essential Academic Skills). For more details about this test, you can visit their site. There are three distinct programs; an applicant can pursue as per his/her convenience in order to realize the dream of becoming an RN. The Bachelor of Science in Nursing is a 4-year program that will incorporate the doctrine of nursing. It will cost you around $20,000 to $30,000 (annually). Besides nursing skills, the holder of this degree cultivate administrative and leadership qualities. An Associate of Science in Nursing is a 2-year program that targets on a technical facet of nursing. It will cost you $14,425 (approx). A Diploma in Nursing is a 3-year program, which will cost you $15,520 (annually). Above mentioned degrees also include the practical program. 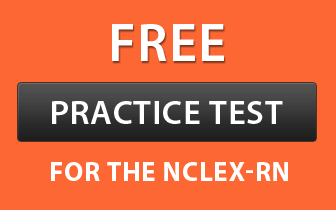 After completing one of the above courses, one is eligible for taking the NCLEX-RN (National Council Licensure Examination). This exam evaluates the proficiency of a candidate that is crucial for safe nursing. This program helps licensed practical nurses (LPNs) enhance their awareness. It is a very dynamic and versatile coursework that fully utilizes your previous credits and experience. This curriculum is designed for those nurses, who already have a diploma or an associate degree and want to build professional expertise by earning a BSN degree. The coursework of this program focuses on enrichment and enhancement of skills in various areas, such as informatics, patient-centered care, leadership, management, etc. An RN, who wants to ameliorate their clinical prowess and competence, can pursue this course. With the help of classroom lectures and on-hand program, it prepares specialist in selected areas by making tracks for a better career. This program is specifically designed for nurses with a master’s degree and equips them with in-depth knowledge in informatics and healthcare sector. It inculcates critical thinking, process management, strategic planning, communication, and leadership skills among aspirants.